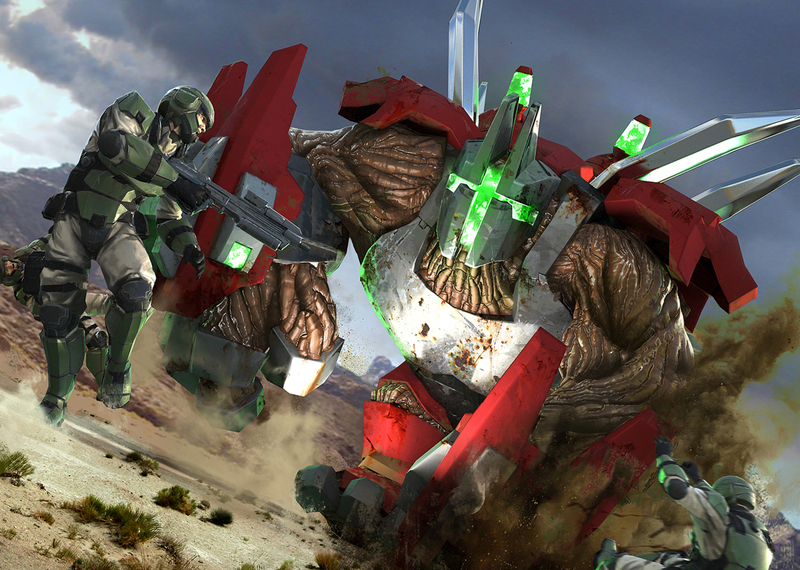 The next DLC Leader for Halo Wars 2 will be a Hunter pair called Colony. If you’re familiar with Halo lore then you already know that Hunters are actually a collection of intelligent worms that form the creature. This collection of worms is the focus of the pack with new units and abilities that can combine with each other or be controlled by the worms. Here’s a few examples. Colony deploys Hunter Captains to locations where some element of its plan or Banished operations requires direct intervention and monitoring. One can be sure that all Banished Lekgolo colonies and gestalts will be operating at full efficiency if these “officers” are present in the battle. Each Captain is linked directly to Colony and its distant bond-brother over a specially modified battlenet relay. The Captains themselves exhibit individual peculiarities and attitudes, though none could be said to be personable. Basically a tank with arms. Slower than usual, but has a massive shield and a lot of health. It can also use a taunt ability to direct all fire at itself instead of any other units. Unlike a typical Mgalekgolo pair, which splits a colony into two independent bodies, the Goliath is a Hunter-style body containing a single colony that optimizes brute strength over all other considerations. Inside the Goliath’s armored shell most of the Lekgolo eel-worms in the gestalt adapt to function as corded pseudo-muscle and thick-skinned protective bands, with a minimum of sensory and cognitive function. Goliaths are not easily self-sustained due to their ravenous hunger for nutrients, and are typically only seen in times of extreme danger among feral Lekgolo, but Colony can coerce or direct subsidiary Hunter gestalts into this form seemingly at will. It’s essentially a hunter version of a Gorilla. Powerful melee abilities and a running charge smash that can devastate enemies. 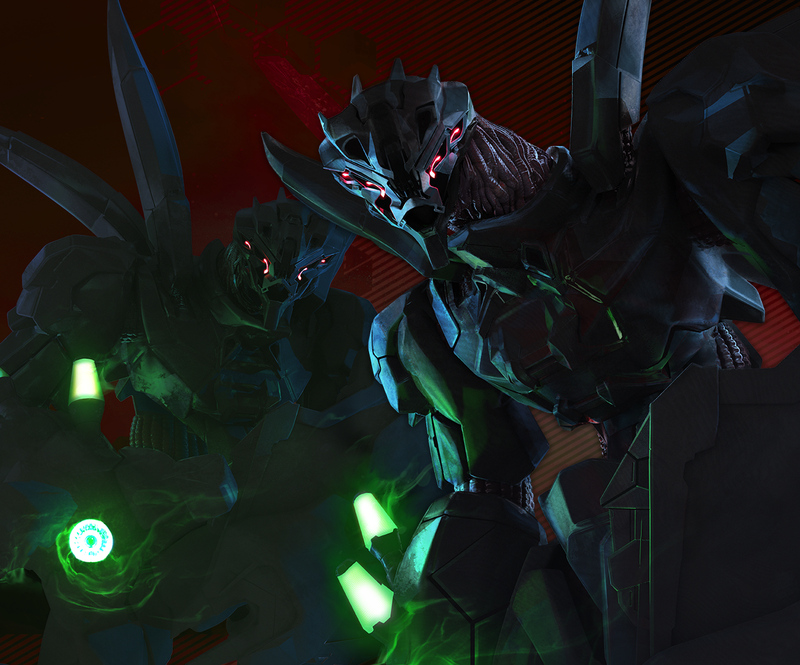 The harsh restrictions on AI research in the Covenant limited the development of autonomous weapon systems, though clever San’Shyuum technicians did find that carefully selected and pruned Lekgolo colonies could substitute for artificial minds in some applications. 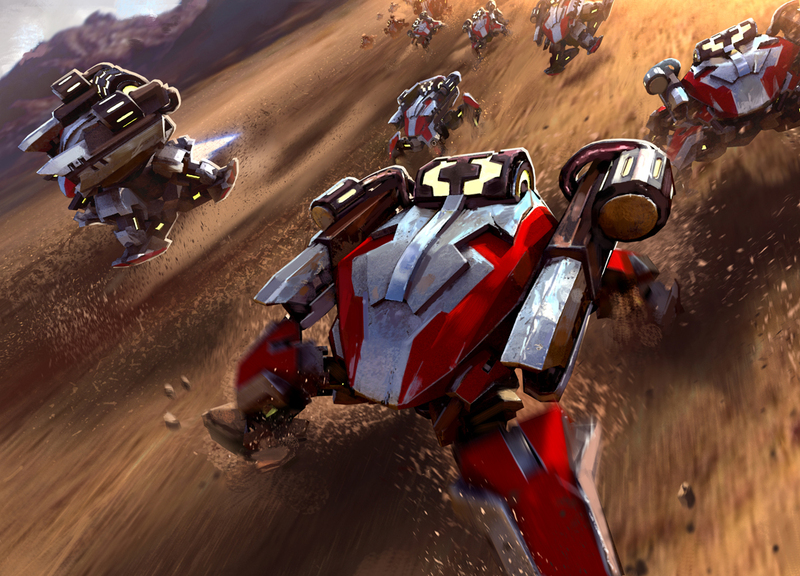 Though never widely used, combat machines such as the Skitterer proved this approach had merit, though the risk of aberrant gestalts in small colonies meant it never saw widespread use. Colony has adapted and perfected this technique, which allows for the integration of Lekgolo with the Banished Locust and mass production of Skitterers without the behavioral issues that plagued earlier work. These are an interesting new scout class. Alone they are weak, but have a powerful beam against vehicles. 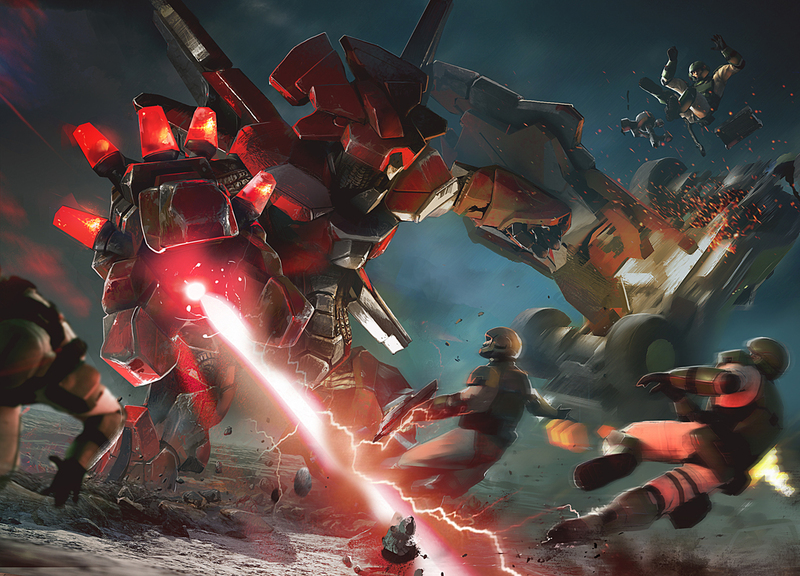 However, they have an ability to become linked to any friendly units and become a hovering sentry. All units can have at least one, with some being able to equip up to three. Once linked they can not be disconnected, only destroyed in battle. Colony has a surprising rapport with the Huragok technicians, though the specifics of their communication are indecipherable to others. 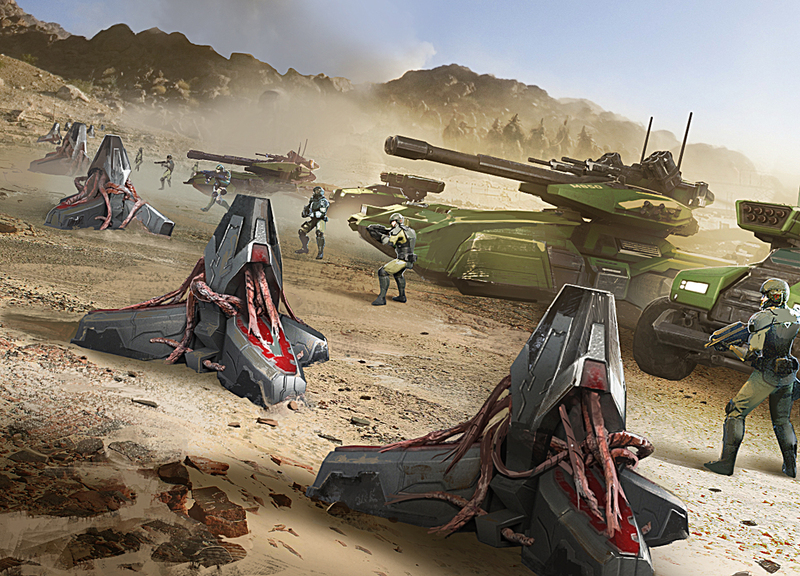 Among the results of their collaboration are a unique form of vehicle barricade containing a Lekgolo cluster and communicator, which can be drop deployed directly on the battlefield to both impede enemy mobility and extend the awareness of Colony and its field commanders. Unfortunately, the lifespan of the Lekgolo is drastically shortened when abused in this way. This is just one of the new abilities Colony has. Living barrier drops a row of Lekgolo (Hunter) worm infused barriers that can deny access to a zone for a short period of time. This is the only leader at this time that can create such a barrier. If you want to see all of these in action then you can watch the ViDoc on Colony below. Colony will be available on Wednesday, April 19th as part of the season pass or separate for, most likely, $5.99 like Kinsano was. There will be several changes coming in a patch alongside this DLC, but we don’t have the details yet. Also, it was revealed that over the next few months there are five new leaders planned to release as well as a two mission campaign expansion. We’ll let you know about all of this as it’s revealed.